THESE are the best of times and the worst of times for Pakistan’s foreign policy. At one end is the dangerous security environment with the Afghan war radiating instability in the region and beyond, and militant groups posing a danger inside Pakistan. At the other is China’s ambitious strategic outreach, the opening up of Central Asia, and a globalised economy that is fostering trade, investment and regional economic cooperation. In between, the emerging geopolitics cuts through both worlds. There are thus exceptional threats and opportunities for Pakistan. 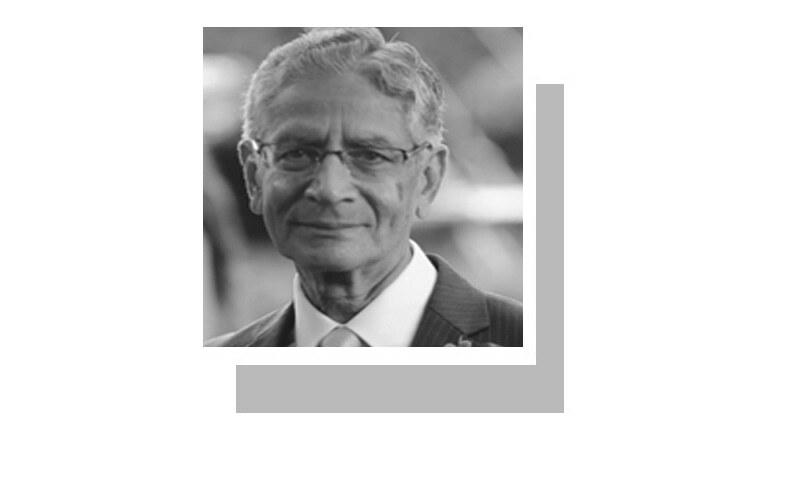 We have not seen the present level of Indian hostility since perhaps the days of the Indian National Congress’s opposition to the idea of Pakistan. The US is exploring punishments that go beyond sanctions. And Afghanistan is colluding with India to engage in acts of subversion and terrorism inside Pakistan. But through its professional army and nuclear capability, Pakistan is strong enough to deter Indian aggression, and is capable of confronting any challenge from Afghanistan. And with its well-tested diplomacy Pakistan can withstand pressure from the US. Why do these countries then continue to loom large in our daily lives as a threat numbing our thinking of alternatives to our present security paradigm that limits foreign policy? Can we redefine a foreign policy that’s reached a dead end? Yes, security should have high priority for any country that has not found deterrence but exclusive focus on security comes at a price. If you have found a solution it is time to concentrate on the aspirations of the people for a better quality of life. Otherwise, you will continue to pursue extra security that you do not need, at a much higher cost, and to the people’s detriment. There is a whole new world of economic opportunities around us. Indeed, there is a world beyond CPEC which does not exhaust the benefits that Pakistan’s resources and excellent geopolitical location offer. In fact, the new geopolitics makes us valuable to all, only if we have a creative foreign policy. We must rethink our foreign policy beginning with an honest question: are we providing others with a rationale for hostility? Pakistan’s perceived links with militant groups and the Afghan Taliban are unfortunate. There are serious internal security challenges and genuine complications in relations with India, Afghanistan and the US. Pakistan cannot befriend them unilaterally but have we tried? The reality is that the old paradigm of relating to these countries and the new world of economic opportunities have collided. Afghanistan is being destabilised and is using India to hit back. We do not need to fight India in Afghanistan. India is there because it serves Kabul’s purposes. It is Afghanistan that Pakistan needs to worry about. An unstable Afghanistan means an unstable Pakistan which in turn jeopardises CPEC and Pakistan’s future. We need to understand that a covert purpose of India’s unremitting hostility is to induce Pakistan to cling to those very policies that have inflicted harm on the country so that it can isolate itself. Lastly, if we want to have no worry about our nuclear assets being seized by the US we should gear all our policies to strengthen Pakistan’s stability and economic future. Nobody can touch these weapons then. There have been international concerns about their fate in case the country descends into chaos. Prove them wrong by letting your stability do the talking. How do we bring about a change in foreign policy? The foreign policy-making mechanism that virtually gives a veto to the security establishment on policies on India, Afghanistan and the US cannot preside over change. These policies reinforce the civil-military imbalance but it appears that the civilian rulers feel that the price of this equation is worth paying since their own way of running Pakistan is no better. It is time to find a new way of bringing about a change in outlook. What is in evidence is enormous talent within the country. There are academics, journalists, authors (many of them internationally acclaimed), retired public servants — civil and military — who all have shown extraordinary knowledge of foreign affairs. The need is to form a commission of some of these eminent people. Let them work for six months, mull over issues, and interview various segments of society including legislators, leaders of public opinion, educators, serving and retired officials in the foreign and defence policy establishment, and business community. The commission should come up with a critique of existing policies and recommendations for change to be fully publicised by the media. Even if it does not lead to a policy change, the public would become aware of alternatives to the present foreign policy that seems to have reached a dead end. There is no short-cut to good governance and a working democracy. Let there be regular elections, at all levels, determined effort to spread basic education and elimination of religious obscurantism. Perhaps then we will be able to establish a relatively functional society. Commission of eminent intellectuals and technocrats can also help in an advisory capacity. The world is changing fast and we need to change our strategy and foreign policy according to the present situation. Economy is one of the biggest factor in today's world. All main super power are running after improving their economy and each has their own ambition and goal. In real world no country will sacrifice their economy on friendship. Security budget should be consistent with real threat and not imagined threat. Any funds for security is funds not available for human development. Any security budget in access of need is a waste. A truly great article by Mr.Touqir Hussain.A sense of exhaustion and frustration of Pakistan is correctly conveyed by the Writer when he says,"Why do these countries then continue to loom large in our daily lives as a threat numbing our thinking of alternatives to our present security paradigm that limits foreign policy." For the achievement of political dynamics in Pakistan he has rightfully suggested the inclusion of Intellectuals from different walks of life to help in formulating a sensible foreign policy. Solution from the author is to form a committee?? Complete implementation of sharia, should be the only goal of all verticals in Pakistan. An Islamic state in totality will take care of all Pakistan's problem. Pakistan's Foreign Policy cannot change because those at the helm of affairs have been, still are and will continue to be weak and helpless. The reasons has been partly hinted at by the writer. I hope everyone understands what I mean. 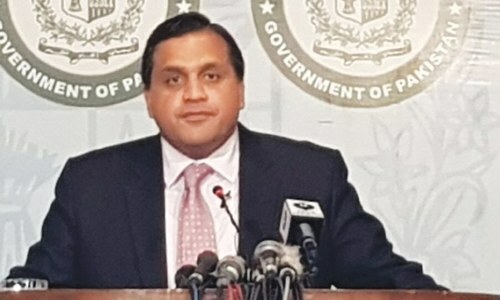 @ADNAN AZIZ "Pakistan's Foreign Policy cannot change because those at the helm of affairs have been, still are and will continue to be weak and helpless. " They are neither weak or helpless when it comes to deal with ordinary weak and helpless citizens, far from it, they behave like the most powerful people on earth. It is only when they find themselves talking to really strong people that they realize their limits, which is indeed extremely limited. In management it is easy to control your subordinates, the real test start when you face your supervisors. Same works in geopolitics. The people who we promote at the top, are not trained to face people more powerful than themselves. It is a cultural issue. A hood question "can we definitely a foreign policy that's reached a dead end?". In my opinion, this is not possible as long as PML-N remains in power and lead by corrupt mafia. In order to have a positive regional and international foreign policy, one has to look at various factors with long term vision and wisdom that are likely to affect peace, our integrity and soverinty at different levels without having personal and selfish motives. An excellent article. Is anyone listening in Pakistan? "The need is to form a commission of some of these eminent people." Can you name a few of these "eminent people" who have not already been in helm of affairs? Those who haven't been in the helm of affairs, probably don't have the required experience to give possible solutions. People who can give an answer, need a pertinent question. The problem is who will phrase the question that need to be answered. That person can only be the one who can make the decision. Have you ever seen a person capable of asking pertinent questions regarding foreign and security policy on a decision making position? If any, that person cannot be elected. People don't vote for people asking tough questions, but for those who promise miracles.This is what will be asked to that commission of eminent people: to formulate miracles. A waste of time and resources, nothing more. Retired bureaucrats and retired generals/brigadiers generally give advice on the foreign policy of the Govt. These set of people have been responsible for the present state of affairs where the country is isolated not only regionally but internationally also. They carry the baggage of their biases of perpetual animosity towards few neighbours and continue to barge on it as well. And also, they are not allowing fresh air of peace to peep into the corridors of powers which could define foreign policy. This has been the bane of Pakistan’s foreign policy. “Smart heads” carried the policy of the day that has lead Pakistan to this impasse. After retirement they can think and see that the obvious, but the solution this esteemed gentleman can offer is : a commission should come up. Bravo, at least he tried. For people who believe that there is a democratic set up in Pakistan, it's just a sham! Changing the foreign policy comes later. It is quite optimistic to think that Pakistan has a foreign policy in the first place. A lot in this article is far from truth and wishful thinking. @Ber... Where has your suggestion worked? An excellent write up. Even though Pakistan has reached the dead end but it is never too late to make a course correction for country's sake. Very difficult to change things now. I agree with Rizwan. Both govt should work on a some mutually agreeable political solution to Kashmir. This solution should be face saving on both sides and also help kashmiris who have made tremendous sacrifices. 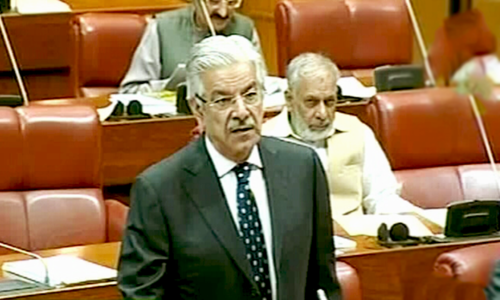 Pakistan cannot now afford military solution . @Ber - Thanks of letting the Author know whats the common man thinks about the present day issue. Very nice article. In a sea of negativity, it's like a breath of fresh air. @GK Never lose hope. Good article. Everybody's welfare and happiness should be the aim and those responsible should make efforts to achieve them. A thoroughly smart article, with an intelligent approach to problem-solving.